We are proud of what we do. We back all of our work with a lifetime warranty on collision repairs and a 24 month/24k mile warranty on mechanical repairs. We offer to our customers special offers for rental cars. Rental cars are available at discounted rates through Enterprise. We are located in downtown San Francisco within walking distance to BART, MUNI, Caltrain, Financial District, AT&T Park, Union Square, Shopping, Movie theatres, and more. 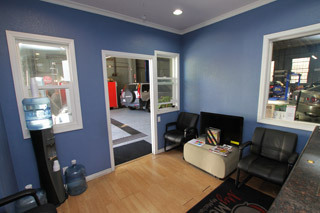 If you work or live in San Francisco, we may just be the most convenient auto mechanic in SF. Drop off your car on the way to work and have it back by the time you get off. 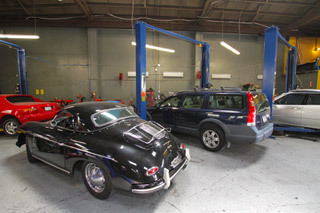 We have a talented team of some of the best skilled technicians in San Francisco. Most repairs and services will be completed the same day. Our location at Folsom/5th St is one of the most convenient locations in SF. Quality repairs backed by the best warranty in the business. We’re always happy to answer any questions about our shop, your car, or give advice about anything automotive related. Feel free to give us a call!